This was brewed on 16 December 1869 – almost 150 years ago. 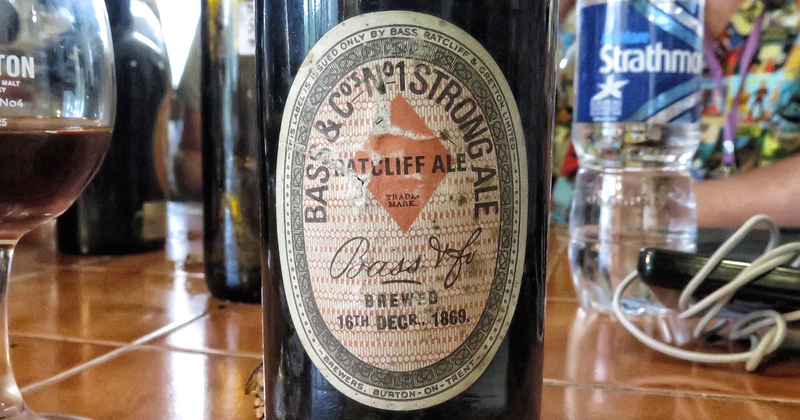 The beer itself is just the standard Bass No.1 Strong Ale, rather than a special recipe, and it was done to celebrate a birth in the Ratcliff family (probably a Harry or Robert, according to Mike Peterson’s page). The Ratcliffs were brewers in Burton who merged with Bass in 1799, forming Bass & Ratcliff. 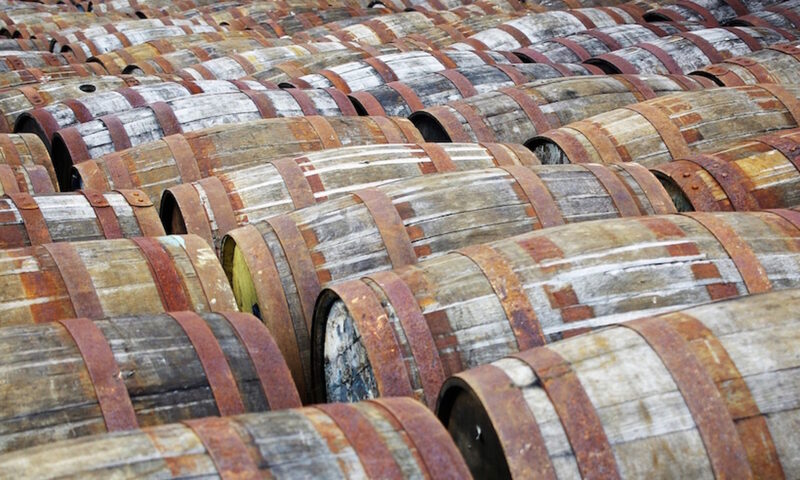 Peterson reckons that it was simply a batch that was put aside to drink at a future celebration – maybe the 21st birthday of Harry/Robert – and not actually a commemorative release. The beer itself wasn’t bottled until at least 1876, as that’s when the diamond trade mark that appears on the label was registered. 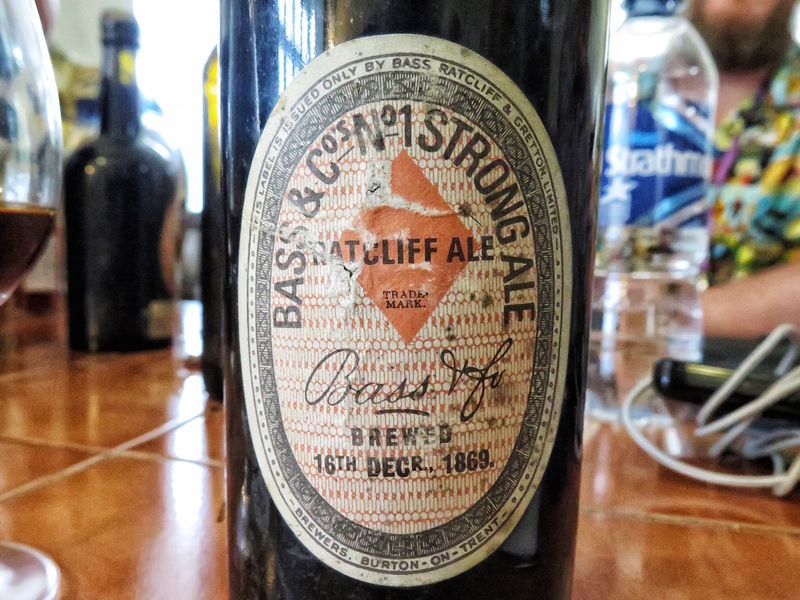 It was stored at the brewery and was released for sale on a number occasions, and was part of the bicentenary releases in 1977. 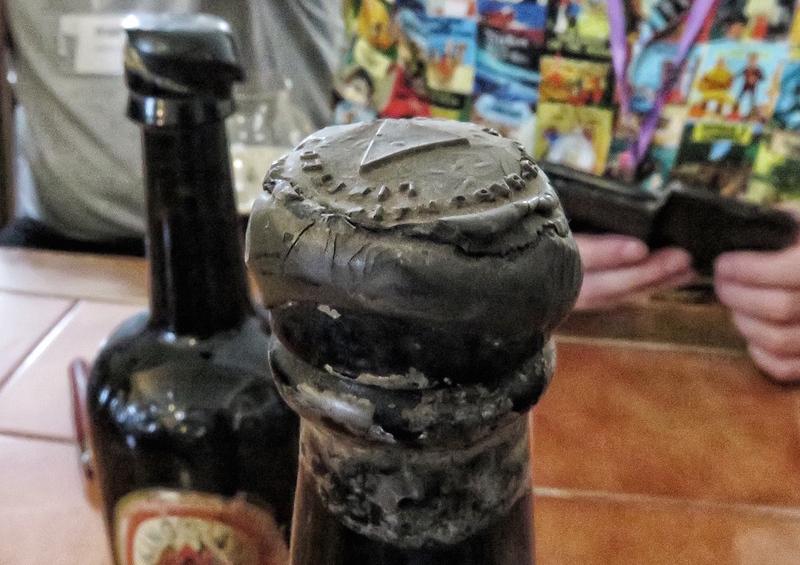 Like the King’s Ale it was recorked, and some bottles were relabelled, with, according to Peterson, a bolder appearance to the printing. Nose: Sour raisins and very old dry sherry. Layers of herbs and sticky fruit, with a hint of cheese rind mustiness and blue cheese mouldiness. Marmite umami underneath everything. Palate: ‘Sour Bovril’: Meaty notes with a touch of sour red fruit. Woody touches and more dry old sherry. Finish: Oxo meatiness and burnt bits on a beef roast, gravel and bitter chocolate. Brackeny touches – green leaves, twigs and earthiness. Much more palatable than the King’a Ale, but still very much an antique rather than a go-to drinking experience. Thanks again to Angus for sharing these pieces of history. He remains, as I am contractually obliged to say at this juncture, best.